smooth move seat pedestals. minn Kota 36 volt trolling motor. lowrance hds12. surge disk brakes on trailer. 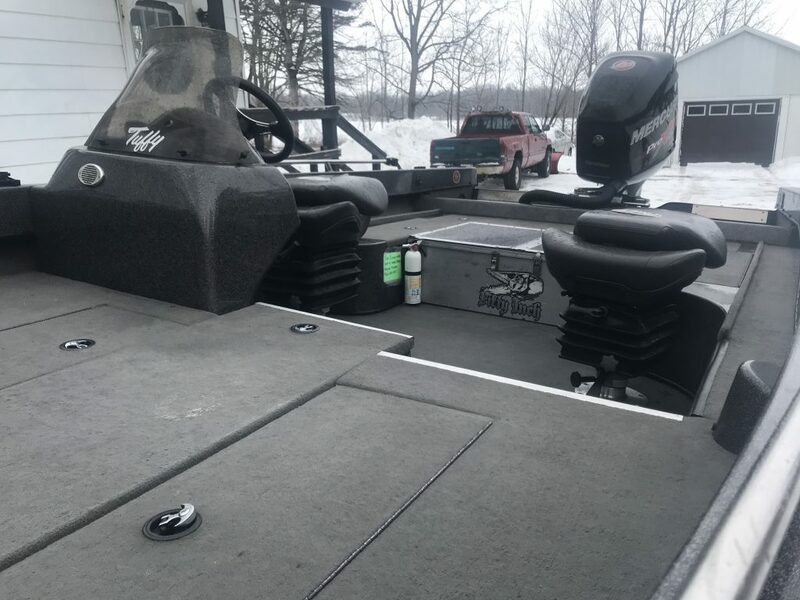 custom cover to fit with trolling motor in place. on board battery charger.